Event Registration Online - 20 Things You Need To Know. When it comes to selling tickets over the Internet, minor details can definitely have a major impact on the number of people who go thru event registration online for your events. Therefore, you should take the time to review these tips, which will hopefully help with getting more signups and making your events more successful! 1. Your online event registration form should reflect the look and feel of your actual website. A uniform look helps registrants feel comfortable with the process, plus it appears to be more professional.If registrants land on a page that has no resemblance to the site that led them there, they might assume they are in the wrong place and hesitate to fill out the form. 2. Make the formnice and “clean” and easy-to-use in order to attract people. Align all fields perfectly and use consistent spacing in addition to adding white space and limiting the use of different font sizes and styles. When it comes to design, many minute details combine to make a form feel inviting. Focus on layout, spacing, fonts, images, and colours. Just by keeping spacing, alignment, font size, and styles consistent, you’ll be off to a good start. 3. Keep the text short. 4. Offer various payment options for your registrants. If possible, don’t make paying by credit card the only option, especially if you are targeting students who sometimes may not have credit cards. If people can’t pay, they of course won’t register. If you are expecting international attendees, you may need to accept wire payments, plus consider using PayPal or something similar. Basically, know your registrants and be capable of accommodating their varying needs. 5. Don’t offer too many registration options. If people must spend too much time thinking about what to select, they may decide to return later, if ever! Basic sales tactics also apply to online forms, so make it simple for people to decide. Moreover, make it even easier for them to choose an option that you want them to pick, such as the full event option instead of just a single day. To do this, bold the preferred option you’re promoting and price it so that it’s clearly a better deal. 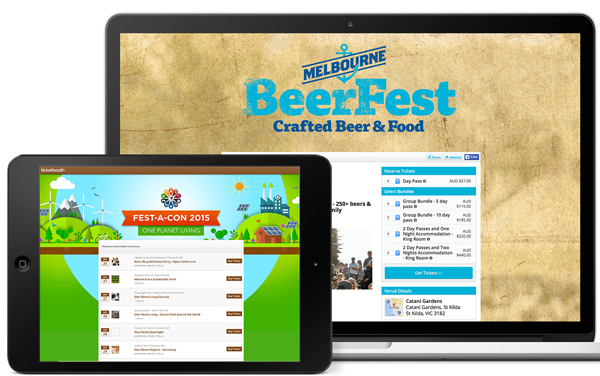 Are you looking for an online event registration tool for event professionals? Sign up to our online event registration platform. 6. Do not require people to create an account or login before they can register. Why would someone want to sign-up with an online registration provider and give their information to another company just so they can register for your event? There are still online registration systems that require customers to open an account before they can register for an event. This can be a major road block, so if you are using a system that requires this, you should stop because it is costing you registrations. If you really want customers to open an account, simply give them the option after their registration. 7. Make sure your hosting is secure. Knowledgeable users know what to look for and won’t proceed if a site doesn’t look safe. Even if you KNOW your event will sell out, you still need to use a secure server, as it’s good business. Also, for security reasons, never email a credit card number or save one in an online database. Plus, your system needs to be PCI (Payment Card Industry) compliant if you are accepting credit cards online. Major credit card companies may revoke merchant accounts and/or issue fines if proper security practices aren’t followed. 8. Test out your form in different browsers. What works well in one browser may not in another. In web development, including online forms, you must always take browser issues into consideration. Most browser issues are fairly minor, such as alignment or spacing differences, but in some cases your form may not function at all. If someone cannot submit a registration, not only do you look bad, but you also lose a customer and most people will not take the time to let you know there is a problem, they’ll simply move on and spend their money elsewhere. 9. Setup the form to do all the price calculations. Not only is this easier for the registrant, but you can rely on the math to be accurate. If your online form is outdated and still makes the registrant enter prices and add up their total, you’d better find a new online registration company today. Spending money on a superior system now will save you money on errors in the long run. Plus, a system that doesn’t automate the prices doesn’t provide a professional first impression of your company or event. The fact is, there are people that won’t register if they don’t see this. People want to know what happens with their confidential data, including where it’s stored and how it will be used. It’s easy to state this on your form and it removes one more obstacle that could potentially block a sale. 11. Provide a name and number of an actual person that registrants can contact if they have questions. Although people won’t usually call, they like to know the option is always there. Sure, all of the pertinent info is on your website and the idea of online registration is so you don’t have to talk to anyone. But if a potential registrant is hesitant about using online registration, or has a question that is not answered on your site, being able to pick up the phone for a quick confirmation will probably secure another registration for you. Plus, being accessible to your customers is just considered good business. 12. Anticipate questions people may have when registering and make the answers easily available. Don’t give people any reason to not register. We aren’t advising that you add a lot of text to your form, but make sure the basics are covered along with any specifics relating to your event. Time, date, location, price, who to call with questions, cancellation policy, how to make changes, when the early bird rate ends, what’s included, etc. You might even want to create a FAQ page on your website for other details like what to wear, where to park, etc. and maybe even put this info in your confirmation email as well. 13. 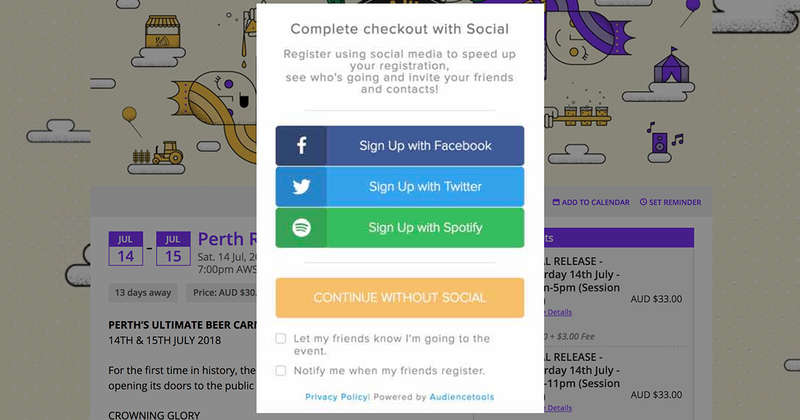 Add social media options to your form in order to encourage people to promote the event on their networks. While we don’t suggest social media as your only event marketing option, it can certainly be an effective and low cost way to spread the word out about your event. 14. Have a clearly visible and understandable cancellation and refund policy. If you don’t want to offer refunds, at the very least you should allow people to transfer their registration to another person. It doesn’t cost you, plus it helps your registrant and you’ll still get someone at the event. If you’re requesting people to pre-register for your event yet you state “No Refunds”, it will likely deter some people from registering until the last minute. If you don’t get them to sign-up now, you may not get them at all if something better comes along. 15. Only request individual ticket holder names when you REALLY need them. Asking for the name of each ticket holder can complicate the purchase. This is because sometimes people don’t know the names of everyone they’re buying for, and even if they do, they can often change before the event. 16. Only ask for details that you really need. Potential event registrants may abandon the form if you are requesting personal information they don’t want to provide. It’s easy to ask for a lot of information with an online form, but be careful not to get carried away, especially with personal questions like birth dates, passport info, race, etc. However, in the event you do require additional information, explain the reason why. Always keep in mind that every field you remove from the form will make it easier to complete and may increase your chances of making a sale. 17. Avoid frustrating fields such as forcing phone number formatting and using captchas. If you try to force people to enter a phone number in a specific format, they may get frustrated since there are several different ways to enter a phone number. There are country codes, extensions, different separators between numbers, and so on. It can be very aggravating if a form won’t accept your number.It is also recommended that you avoid using CAPTCHAs; these are the ‘verification’ boxes that force you to enter the distorted text that appears in a box. We haven’t really seen a need for these and some people can have problems with reading them. 18. Have somebody you know ‘test’ the form. Get the most inexperienced computer user you know, or at least someone who hasn’t seen the form before, to try and register while you watch. You may be surprised by what stops or confuses them.If you built the form and have spent hours looking at it, it will be hard for you to notice potentially confusing spots. Someone who is new to the form will see it in a new light and by watching them, you’ll be able to see exactly where they get stuck andthen you can fix it before you launch registration. 19. Try to break the form before going live. Prior to making your page accessible, try entering bad data or selecting conflicting items. If there is a way to break it, there will inevitably be registrants who do and you will lose that registration. Properly testing a form in this fashion is an important step, because if the form isn’t functioning perfectly, you are likely to lose registrations! 20. Kindly ask your online registration provider to review your form and offer any suggestions. They probably provide this service for free, and if they are good, hopefully they will have a few suggestions for you. That is unless you already did a great job setting it up. 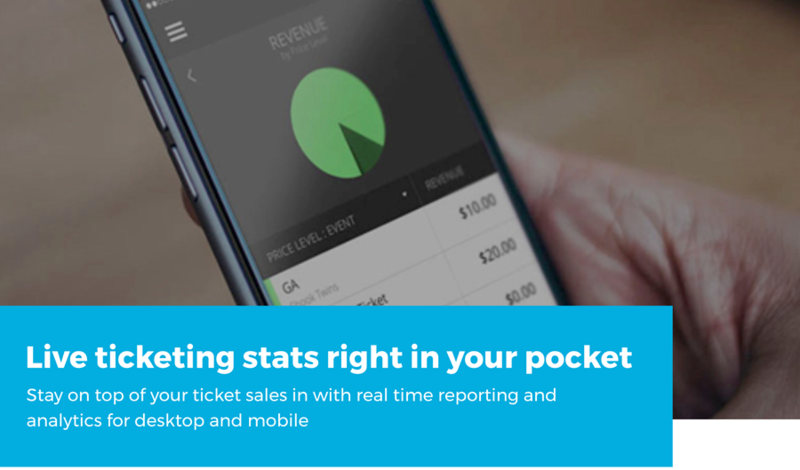 At Ticketbooth we will review your form for you and then offer any suggestions, pointing out potential issues that we find. Remember, minor adjustments can definitely make a major positive impact on your registration count. There you have it – 20 tips regarding event registration online that should be beneficial for your business and ticket sales. 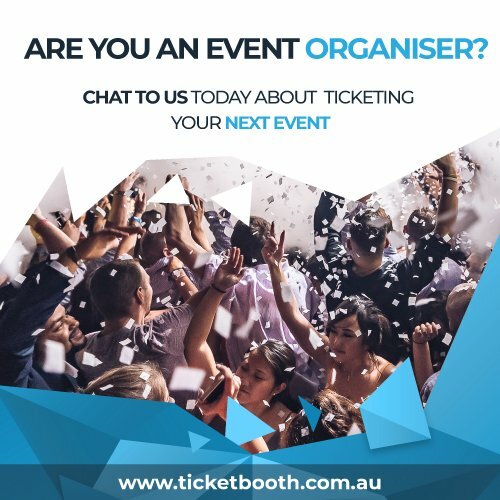 For more information on our company and the essential tools we can provide, be sure to checkout Ticketbooth’s event registration services. And here’s to your next event selling out!